Delaware Tech’s baseball team improved to 12-6-1 after splitting doubleheaders with County College of Morris on March 23 (7-3 loss, 9-8 win) and Raritan Valley Community College on March 24 (14-13 win, 6-5 loss). In the first game against Morris, freshman pitcher Jordan Haddaway (Delmar) had nine strikeouts and zero earned runs, while sophomore Tyler Cunningham batted 2-for-3 with two RBI. In the second game, Delaware Tech battled back from a 6-0 deficit behind the relief pitching of freshman Lou Whitaker (Polytech) and sophomore Ben Hudson. Freshman Matt Marandola (DMA) also knocked a two-run home run. In the first game against Raritan Valley, freshman Collin Jensen (Archmere) had seven RBI, while sophomore Tommy Heffernan (Cape Henlopen) picked up the win and Hudson earned the save. In the second game, Cunningham had three hits and sophomore K-Ci Widdowson knocked a triple. Delaware Tech travels to Brookdale Community College for a doubleheader on Saturday, March 30, and returns home for a doubleheader against Community College of Southern Maryland starting at noon. All home games are played at Delaware Tech’s Owens Campus in Georgetown. Delaware Tech’s softball team fell to 4-2 after dropping both games of a doubleheader to Brookdale Community College on March 24 (4-2, 8-2). In the first game, sophomore Elizabeth Smith batted 2-for-3 with one RBI, and sophomore Kasie Simpson (Sussex Central) hit a double. In the second game, Smith, sophomore Jenna Calloway (Sussex Tech), and freshman Alyssa Collins (Sussex Tech) all recorded a hit, while Simpson knocked another double. Delaware Tech is scheduled to host Mercer County Community College in a doubleheader on March 30 starting at noon. All home games are played at Delaware Tech’s Owens Campus in Georgetown. Delaware Tech’s men’s lacrosse team lost to Potomac State College 12-6 on March 24. Delaware Tech is scheduled to travel to Brookdale Community College on Wednesday, April 3, and will also travel to Ocean County College on Saturday, April 6. Delaware Tech golf finished 5th overall and 4th in the region at a tournament hosted by Rowan College at Burlington County at the Deerwood Country Club in New Jersey on March 25. Sophomore Frank Myers finished with an 87 to lead the way for Delaware Tech. Freshman Ben Cooper shot an 88, sophomore John Evans (Indian River) shot an 89, freshman Cole Hattan (Sussex Tech) shot a 96, and freshman Francisco Solis (Laurel) shot a 112. Delaware Tech’s next tournament is Wednesday, April 3 at the Pitman Golf Course in New Jersey. For more information on Delaware Tech Athletics, visit dtcc.edu/athletics or follow dtccathletics on Instagram. Delaware Tech -- the First State’s only community college -- offers academic, technical, community education, and workforce development comprising more than 100 associate degree, diploma and certificate programs. The College is accredited by the Middle States Commission on Higher Education. Delaware Tech has four campuses across Delaware in Georgetown, Dover, Stanton and Wilmington. 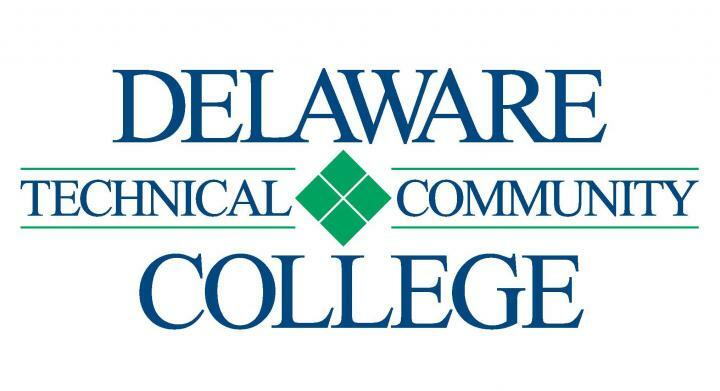 For more information about Delaware Tech, visit www.dtcc.edu.